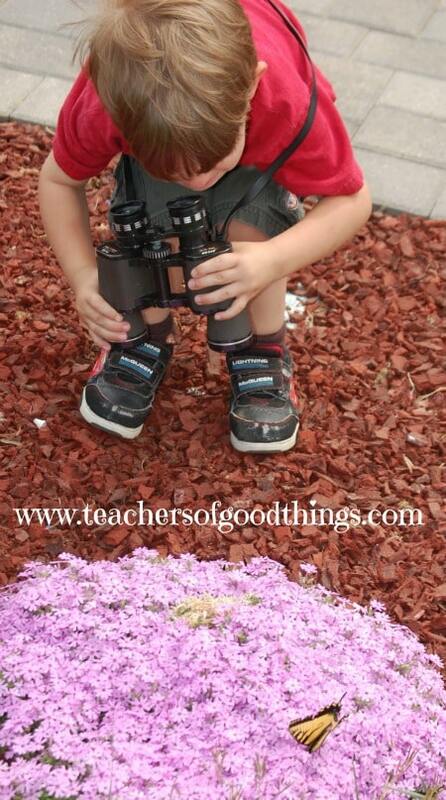 As a Charlotte Mason educator, spending hours outside to explore, observe and discover is an important part of an education. Our children have learned so much in just the great outdoors, and I have often said that the outside is their school room. Butterflies are wonderful creatures that grab the attention of young children. 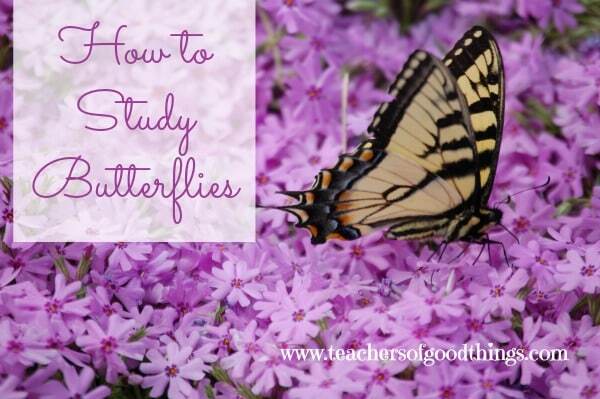 I would like to share with you some of the ways that we study butterflies in our homeschool and encourage you to make this part of your children's growing years. Introduce them to a living butterfly – Building knowledge off from their own experience of a living creature is always the easiest way to get information in to a child, even if the child is only three years old! Learn the name of the butterflies you find – You do not need to know the names of the butterflies before exploring and discovering the living creatures. I would recommend taking pictures of the ones you find and identify them later for further study. Journal the butterflies – Children learn more when they are able to write or draw what they observe. Buying them a journal for them to enter their discoveries in will be a great way for them to retain what they have learned during a nature time. Get books from the library – Once the excitement of a new discovery has happened, it is now time to introduce books to the children learning about the butterflies. You will want to find books that have real pictures of the butterflies or excellent sketches of them, so the children will learn the exact way they look for future outings and discoveries. Learn about metamorphosis – The stages of metamorphosis is such an intriguing and wonderful process that children will love to learn about this. I would recommend being about to either capture caterpillars in their chrysalis and watch the process first hand. If you aren't able to do that, try finding a DVD at the library that will show this awesome design of our Creator. We are really a busy family, but once or twice a week I take a few minutes on a beautiful day to go out and do some directed observation. Once I have been able to study butterflies, I only then draw their attention to them when we see them in our natural living routine. Each time we have those nature times, I'm trying to draw attention to a new discovery, opening their eyes to what is around them and appreciation of their Creator's designs.